Our children are growing older and bigger every day. 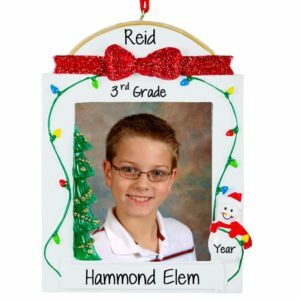 And yet, sometimes it feels like they have grown a foot within a blink of an eye! 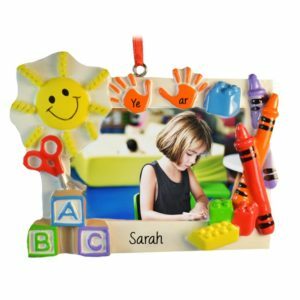 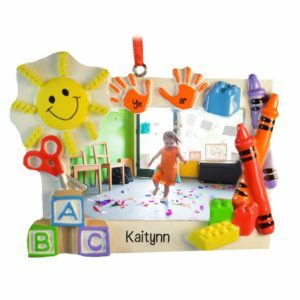 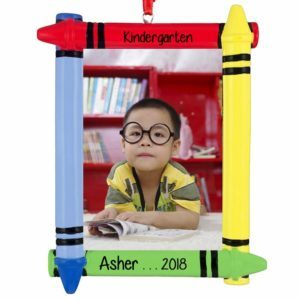 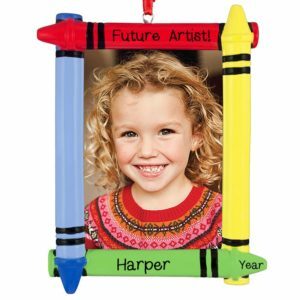 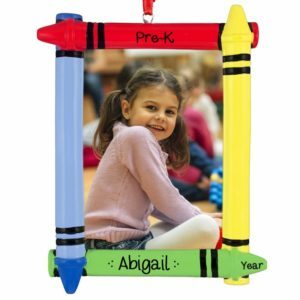 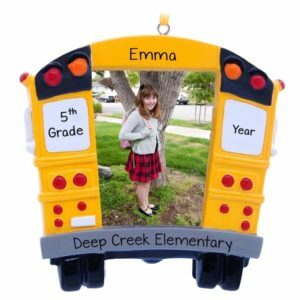 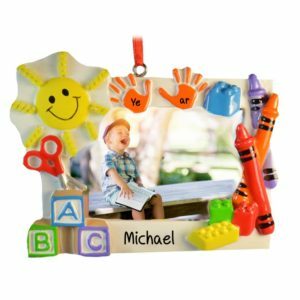 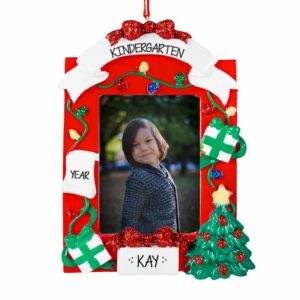 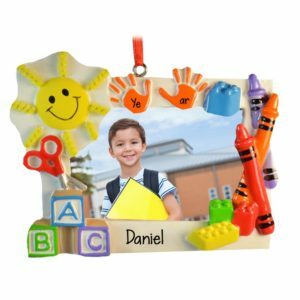 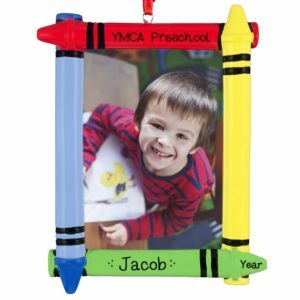 Personalized Ornaments For You has a fun selection of School Picture Frame ornaments that can help capture the yearly growth of our beloved children. 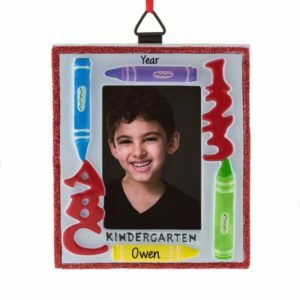 Buy a new ornament every year and have one of our talented artists write your child’s name and the year to create a keepsake that will capture a precious year in time. 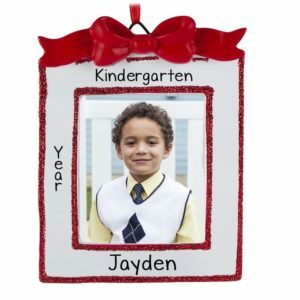 As they grow, you will be able to see their progress on your tree. 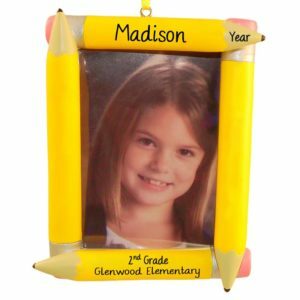 Grandparents will treasure such a loving gift. 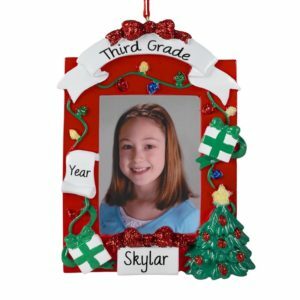 We have several designs and are sure you will find one to compliment your tree decor. 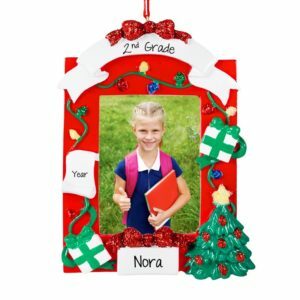 Start now with a new tradition. 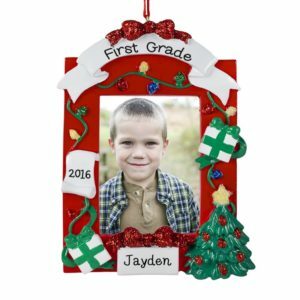 You can always catch up…we will custom personalize according to your directions to make each ornament unique and one-of-a-kind!